Applying premium quality parts throughout the life cycle of each Linde truck safeguards the reliability and efficiency of the equipment. 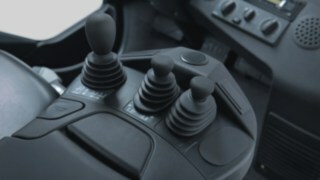 This in turns drives down operational costs and optimises business performance. 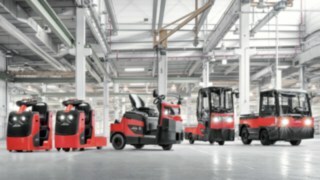 Operating from the largest fork lift truck spare parts distribution centre in the UK we offer a comprehensive range of genuine Linde spare parts guaranteed fit for purpose with current and older models. We offer parts identification systems and availability in excess of 96 per cent, combined with in-night delivery, ensuring maximum uptime and minimum cost of repair for both critical and routine applications. comprehensive range of approved spares enables first-time-fix by our engineers, no matter which truck needs servicing or repair. We offer parts identification systems and UK availability in excess of 96 per cent, combined with in-night delivery, ensuring maximum uptime and minimum cost of repair for all critical and routine applications. Using advanced fault-finding techniques backed up by Lindos parts identification technology – and with 300,000 parts to choose from – every truck model at every customer location can benefit from Linde approved sourcing, supply and parts distribution systems. Whether used within asset managed trucks or sold directly to user-distributors, Linde parts are approved for use in every application and are the only parts guaranteed fit for purpose. Customers can have complete confidence in the specification, tolerance and longevity of each Linde part in every application, while total cost of ownership and uptime performance are optimised by matching application requirements with spare part quality and durability characteristics. Applying premium quality parts throughout the life cycle of each Linde truck safeguards the reliability and efficiency of the equipment. This in turn drives down operational costs and optimises business performance. 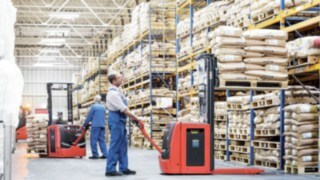 The Linde world distribution centre can immediately dispatch over 60,000 stocked spare parts. If a rarely required spare part is not directly available, it is ordered immediately. 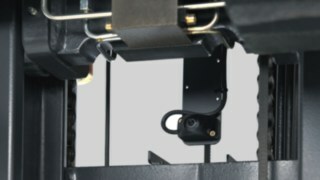 Customers with older truck models can also rely on the spare parts service. 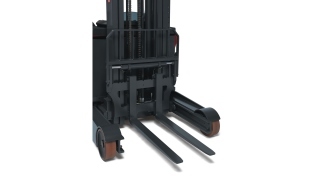 Linde customers can rely on the rapid supply of spare parts for their forklifts worldwide. This is ensured by the world distribution center in Kahl (Germany) at the heart of the global spare parts logistics network. 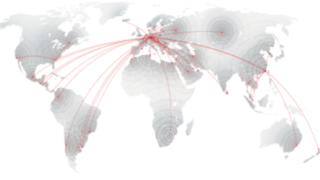 Over 6000 items promptly reach their destinations around the world from this location every day. 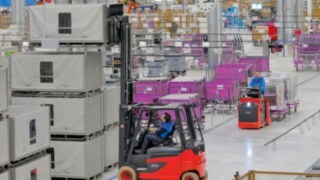 The central distribution center in Kahl supplies the service organisation worldwide, including the local distribution center in Basinstoke (UK). State-of-the-art warehouse technology allows employees to dispatch orders, generally within just a few hours after an order is received. You can rely on the fast and globally consistent service quality for spare parts provided by the Linde spare parts service. Spare parts naturally don't just need to arrive as quickly as possible, they must also have the necessary quality. Linde spare parts strictly comply with the durability, precision, and reliability defined by our design engineers. After all, even minor variations, such as in accuracy of fit and performance, can lead to significant problems and performance issues. 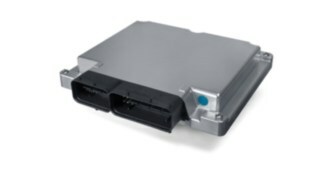 Safety, quick assembly, and a long service life distinguish genuine spare parts from supposedly cheap copies. In particular, the benefits of original manufacturer quality become clear when you consider the long lifespan of an industrial truck: longer service intervals and no consequential damage relating to spare parts. This ensures maximum availability of trucks and lower lifecycle costs than for inferior replicas. 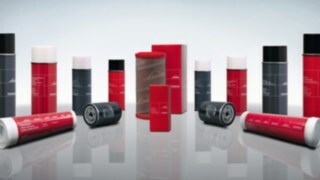 From controlling Linde joysticks with millimetre precision through to optimum dirt collection by the Linde oil filter, for Linde spare parts, performance lies in the detail. You can find a few examples on the following pages.